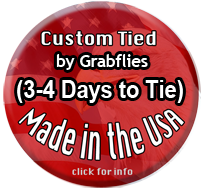 A new pattern created by Grabflies, Jeff Layton. 2015/2016 winter has been the season of grizzly hackle into my patterns. It gives the fly a mottled, lighting effect, that Steelhead seem to love. This fly is tied like a Moal leech but with all the extras found in an Intruder pattern. 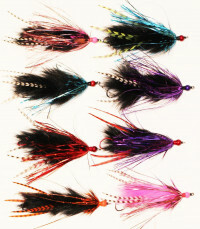 Unlike most Intruders this pattern is a 360 degree fly (it fishes, and swims good in all angles of the presentation).